We are a certified Cecchetti Ballet School. This method has a sequence of grades, carefully measured as to the degree of difficulty and physical development, and provides a system of accredited examinations to test the student’s proficiency within those grades. The method of ballet instills, strength, technique, grace and is widely accepted by College Scholarship Programs. Students start out with Pre-Ballet and move into Grade classes taking their first exam at age 10. Pointe Classes are also offered for non- syllable training. This class is geared for younger dancers and is a combination of tap and jazz. Emphasis is on tap and rhythm patterns with some jazz at the end of class for nice upper body movement. These students will perform in tap at the annual recital. Older dancers are offered separate tap and jazz classes. Lyrical dance is a modern dance form which fuses modern dance, jazz, and ballet. It is often referred to as Contemporary. The goal of the dancer is to convey the emotion of a song's lyrics. This is an upbeat class that incorporates current music and movement. Family friendly music is used. This is an all boys' class where they work on strength, rhythm, flexibility, and tricks to incorporate into hip hop routines. Tap class will consist of a tap barre, movements across the floor and combination work. Students are placed according to ability and age for a fun challenging class. Jazz class will have a vigorous warm up, progressions across the floor to teach technique, turn and trick studies and combination work. Students will be exposed to all forms of jazz including: Classical Jazz, Hip Hop, Lyrical and Modern. We offer pom classes for 3 year olds through our advanced dancers. We even have a competition pom team! This class incorporates funk, jazz and hip-hop into fun choreography. Students concentrate on precision, sharpness, jumps and turns. We offer both recreational and competition team classes. We offer Acrobatics for all ages. Students work on flexibility, strength, balancing, limbering and tumbling. Dance moves are incorporated in tumbling routines. This class is also offered for students wanting to focus on skills needed for competitive cheerleading. Emphasis is on floor work and jumps. This unique class is for 2 – 3 year olds. It is a movement and music class that incorporates stretching, ballet, tap, rhythm work with instruments and simple tumbling. In this half hour class, the little dancers leave mom and dad in the waiting room and proceed to class on their own. Toward the end of the dance year, the teachers concentrate on ballet to prepare the students for the June Recital. Classes are offered in in Ballet, Tap, Jazz, Pointe and Lyrical for beginning and advanced adult dancers. Dance is also a great way to meet health and fitness goals. Performance opportunities are available. BeMoved® is a new dance fitness experience designed by Sherry Zunker. Classes begin with easy-to-follow therapeutic movements that integrate the upper and lower body. The warm up flows into dance styles inspired by a wide variety of musical genres. Each week focuses on a different musical and dance style such as Bollywood, jazz, Latin and disco. BeMoved® is designed to inspire participants to embrace dance as a lifelong means to health, joy and fulfillment. 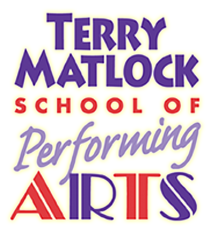 This class incorporates acting with movement rooted in ballet, tap, and jazz. Focusing on skills such as musical interpretation, emotional performance techniques and prop use, this course will help students learn the art of storytelling through their movement using music from musicals both old and new. We ask that our ballet dancers ages 2 - 7 wear pink tights, pink leotards of any style and pink ballet slippers. Primary and Graded Ballet dancers must wear black leotard and pink tights and slippers. Tap, jazz, hip-hop and pom students may wear any color leotard and tights. Tap shoe color is black and jazz shoe color is tan. Tan jazz shoes are worn for pom class. Acrobatic students wear any color of leotard, no tights and go barefoot. Boys wear shorts or sweat pants, t-shirt and go bare-foot. Teachers continually evaluate students for proper placement. We are focused on finding the best fit for your student. We offer classes with similar lesson plans on different days of the week. If you find that your student's class is at an inconvenient time, please let me know and I will help you find a better class time. I do encourage students to make-up any missed classes so they do not fall behind in class. We have 7 Award Winning Competition Teams at our School. Audition week is the third week of August for ages 6 thru 18 years of age. Second auditions may also be held in September. Being on a team requires commitment and dedication, but is very rewarding for the more serious dancer. Teams have additional practices and costs to travel to 4 competitions per year. Team members are required to take Ballet and Jazz class.